Mac was one of the first, and for a long time probably also the most popular, brands that introduced customizable eyeshadow palettes. Every blogger and Youtuber seemed to have their own Mac 15-pan palette and for years I longed to add one to my collection. I purchased one of their quad palettes awhile back and filled it with a couple of shadows but I kind of forgot my urge to add more shades to my collection. In recent years, many more brands including Makeup Geek, Anastasia Beverly Hills, and Make Up For Ever have come out with single eyeshadows and definitely stole a lot of the spotlight from Mac. That's probably why a couple of months ago Mac did a revamp of their custom palette system, dropping the price of eyeshadow refills to $6 and adding a slew of new palette sizes and inserts. On top of that, they've introduced a reward system and frequently do discounts off everything. A couple of weeks ago they had 25% off the entire site so I took the opportunity to purchase a few highly raved about eyeshadows. I chose four popular, albeit not very unique, shades to add to my Mac eyeshadow collection: All That Glitter, Soft Brown, Woodwinked and Wedge. It should be no surprise that they're all neutral tones because that's simply what I wear all the time. All That Glitters is the perfect peachy all-over-lid shade that is everything I wanted it to be. Wedge is a great crease and outer lid color for my skin tone as well. I've been using both those shades quite a bit. Soft Brown and Woodwinked are definitely on the warmer end of the spectrum so I haven't been wearing them as much. I find that with Mac eyeshadows, they're just pigmented enough to get a nice look with them but they're not intensely pigmented or creamy like Urban Decay or Anastasia Beverly Hills shadows. I have a special place in my heart for both types of formulas. 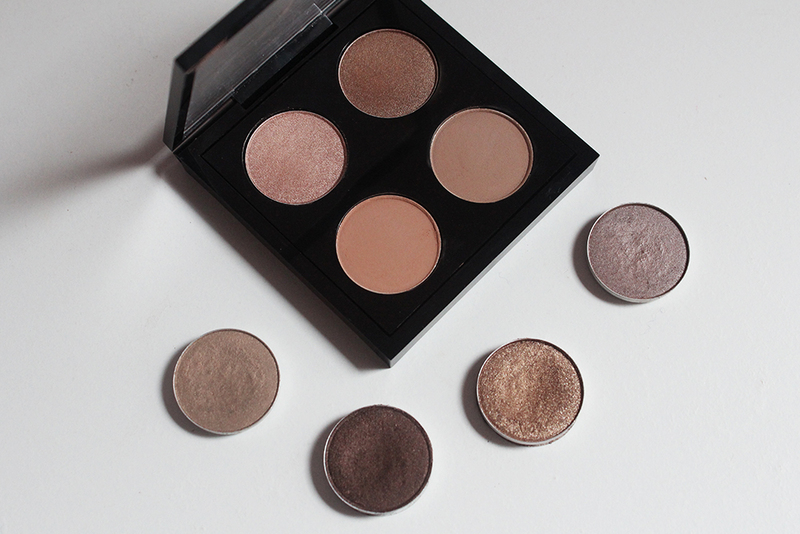 Mac eyeshadows are great for everyday looks and the shadows are less likely to emphasize eyelid texture. But if you want a more rich color payoff, you usually have to use a tinted eyeshadow base. While we're on the subject of Mac eyeshadows I thought I'd just pull out my other depotted singles and do a little family photo. The other shades I have are Patina, Carbonized, Tempting and Satin Taupe. Carbonized, a rich shimmery chocolate brown, was a limited edition shade but the others are permanent. Tempting has definitely been my most used because it's a gorgeous one-and-done bronze shadow. Patina is a big disappointment because the pigmentation is quite weak and the color doesn't show up very well on my skin. I keep telling myself I need to make it work somehow but so far that hasn't been successful. 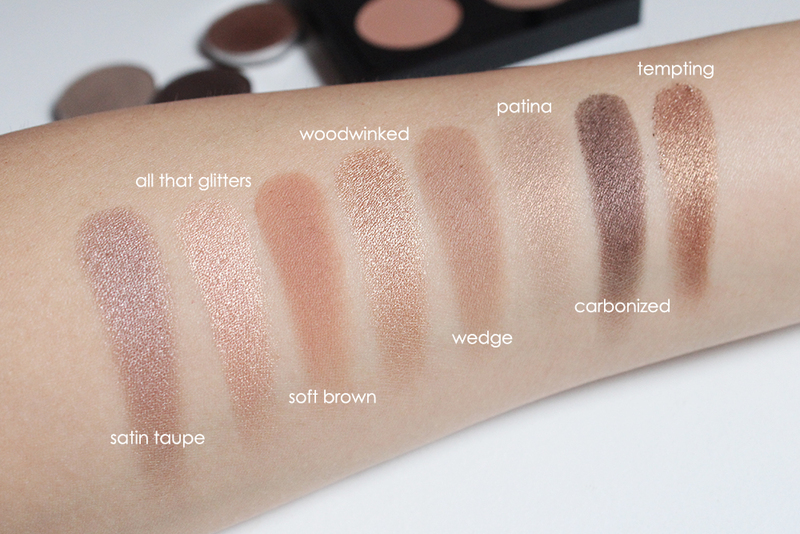 After swatching all the shadows together, they actually look like quite a nice mix of neutral tones. I have some warm tones and cool tones and both light and dark shades to do a whole eye look. I find with my older Mac eyeshadows that they have developed a bit of "hard pan" so I have to dig my brush into the shadow more to get the pigment I want. Satin Taupe and Patina, in particular, do that quite a bit and I bought them both as single refill pans at the same time - perhaps it was not a great batch. It's really nice to see makeup companies respond to consumer feedback. We're used to brands giving us less product but charging us more so it's cool that Mac is taking steps to win back some fans. 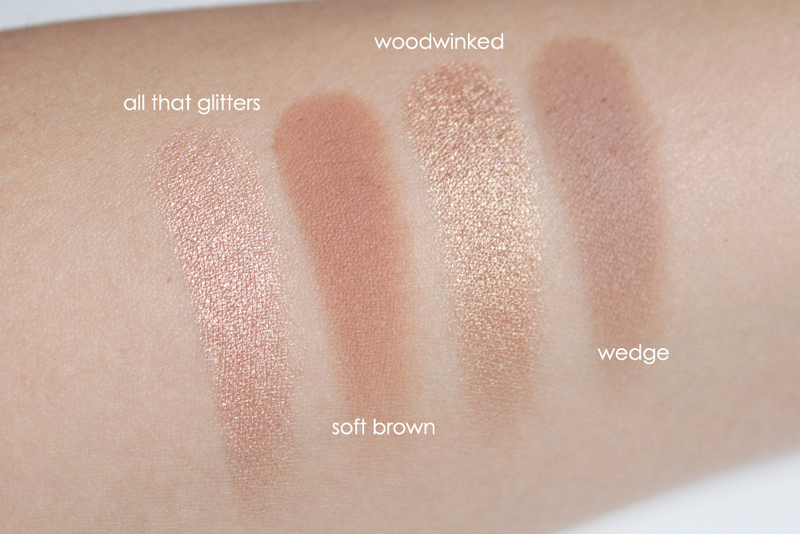 Though they don't have the kind of eyeshadows that are as satisfying to swatch, the level of pigment and the classic shade selection they have match my makeup needs well. 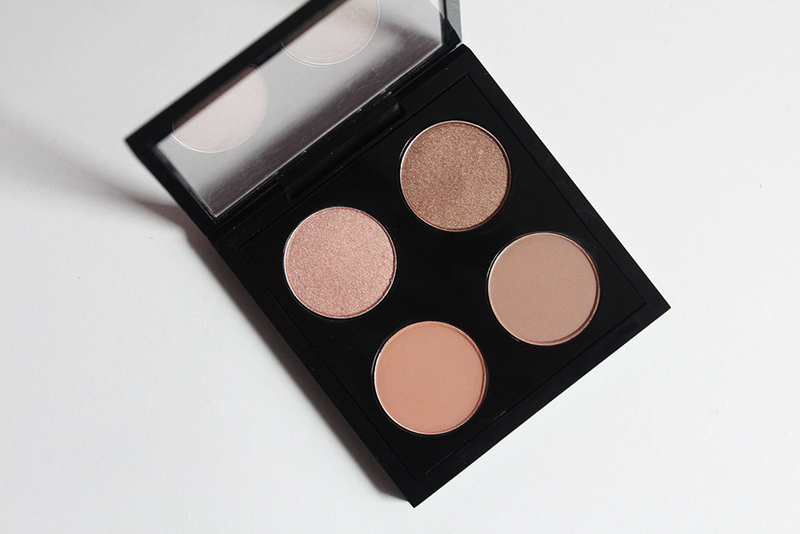 Have you built a custom Mac eyeshadow palette? What are your favorite shades from the brand?